The Top 10 Skin Care Questions Answered by Celebrity Esthetician Natarsha Bimson! Summer is around the corner! We can't wait to sip cocktails at the beach, splash around in salty water, travel, and soak in the sun. But while it's all great fun, summer can also wreak havoc on your skin. That's why now is a good time to make sure your skin care routine and beauty knowledge is up to standards. How? Let Spa Sophia facialist and celebrity esthetician Natarsha Bimson answer all your most common skin care questions! 1. What 5 skin care products should every woman own? Sunscreen (SPF20-30) Epicuren’s Zinc Oxide Perfecting Sunscreen SPF 27 is a great option. Washcloths, super affordable and so much better than just hands. Vitamin C Serum. Look for 10% to 25% in order to get results. Hylunia’s Beyond Complex C is lovely. A leave on AHA (Alpha Hydroxy Acid). 5% glycolic is usually a great starting point for getting into AHAs. I have so many of my clients hooked on Epicuren’s 5% Glycolic Peel Lotion that we have trouble keeping it on the shelf! Retinol (Vitamin A). For retinol you should aim for around 0.5% to 1% for best results with minimal irritation. Epicuren’s Retinol Anti-Wrinkle Cream is great because it combines glycolic acid with retinol in its formulation. 2. What skin care ingredients should be avoided? I’m really against ingredient shaming. I think it’s just scare tactics and tends to show a lack of understanding of basic chemistry and formulating. But I would say avoid anything that you have an allergy or sensitivity to. It sounds obvious but you’d be surprised how many people ignore their skin type type in pursuit of following trends. If you have sensitive skin, keep clear of fragranced or essential oil heavy formulations. Alcohol is the one that I try to avoid the most as well as petrochemicals (mineral oil, etc). People are usually surprised to learn that synthetic ingredients are often the most gentle and non-allergenic ingredients, but it’s true. Plant ingredients tend to be very inconsistent due to the part of the plant that's used and the time of the year that it’s harvested, so can cause a lot of problems for sensitive skin types. 3. What's the best skin care routine for the day? Cleanse: Take a clean washcloth, wet it with hot water, wring it out and drape it over your face. Let it sit for a bit so the steam can cleanse. Then gently wipe, get in to all the little nooks and crannies. Hydrate: Spritz your face with a hydrating mist such as Hylunia’s Colloidal Silver Mist. Treat: Apply a high quality Vitamin C serum. Vitamin C supports the function of your sunscreen by neutralizing the free radicals in the suns rays, preventing cellular degradation, so it is excellent for day time use. Give the serum some time to sink in before you apply moisturizer or SPF – go and have breakfast, read your emails, etc. Moisturize: If your Vitamin C serum is not very hydrating or nourishing you may need a separate moisturizer and for most people, the one you use in the evenings should be fine. Protect: Your SPF should be a separate product and I much prefer a physical one like zinc oxide to a chemical one. 4. What's the best skin care routine for the night? At night it's all abour cleansing! 1st Cleanse: Use oil or an oil based cream cleanser. I love Epicuren’s Apricot Cream Cleanser. The oil will break down the oil in your sunscreen and makeup, both of which are designed to stay on your face. Then use a was cloth in the same manner that you did in the morning. 2nd Cleanse: I recommend non-foaming cleanser, mostly because foaming tend to strip the natural oils from your skin which it needs to function properly. If you absolutely have to use something foaming then I recommend Hylunia’s Facial Cleansing Gel as it has really gentle surfactants. Exfoliate: Use a leave on AHA toner or lotion every other night or if you can tolerate it, every night. Treat: Most people should be using a retinol serum or cream to slow down aging. These don’t have to be every night and are great to alternate with your AHA. Moisturize: Find a well formulated moisturizer that is the correct weight for your skin. A couple of great options are Epicuren’s Nourish Daily Antioxidant Moisturizer or Hydro Plus Moisturizer. 5. What's the best way to treat acne & breakouts? As for over the counter acne treatments: Benzoyl Peroxide is the gold standard. It may scare a lot of people because it can cause dryness, flakiness, redness and irritation when used at the wrong percentage. When used at lower percentages like 2.5% however, it is just as effective as the stronger dosage but without the side effects. I have had great success treating clients with 2.5% benzoyl peroxide. Used in conjunction with glycolic acid as part of a good regime, most grade 1 & 2 acne clears up. I’ve even had great success treating more severe grade 3 acne with this approach. Salicylic acid is then a good ingredient for maintenance. 6: How often should you get a facial? Generally I would recommend every 3 to 6 weeks. That being said, you are far better off having a great routine at home and getting a facial once a season than being lazy at home and getting facials every 3 weeks. What you do each day will always make a bigger impact on your skin than what I can do once a month. I always recommend booking the Spa Sophia Signature Facial for first time clients. It’s a great facial where we chat about what products you’re using, and what your concerns and goals are. That way we get to know your skin and work with you to design an at home regimen and treatment schedule to get you there. 7. Are expensive skin care products really better than regular skin care products? In my opinion, there are many products without adequate data supporting their efficacy. Most people are swayed by a slick marketing campaign and results from poorly designed studies. By poorly designed I mean small test groups, no control groups and no blinding. At Spa Sophia I work with Epicuren and Hylunia, which are both great lines because they are cruelty free, have specialty products that include AHAs, BHAs, Vitamins, Hyaluronic Acid, Peptides, and many other active ingredients. 8. What is the best skin care routine when traveling? Please don’t ever use soap on you face! I take everything in travel sizes with me. With many companies making travel sizes now, there’s no reason why you can’t follow your usual regimen while away from home. One of my favorite tips for before and after long flights is to sneak in a couple of hydrating masks. Simply apply a mask such as Epicuren Hydrating Mineral Mask when you get up, go and read your emails or have some breakfast, and then wash your face as normal. You’ve snuck in 30 minutes of hydration without having to put any time aside, and your skin will thank you for it! 9. What is the best way to prevent & treat fine lines and wrinkles? Sunscreen! Around 80% of premature aging is due to sun damage, and it’s never too late to start using a good quality, broad spectrum, physical sunscreen. As for treatment, I particularly love Hylunia’s Intensive Repair Eye Cream. It’s packed full of peptides that help to relax the muscle in the eye area, reducing the micro-contractions that help form fine lines. Peptides also boost collagen production and inhibit the enzyme that breaks collagen down, slowing the loss. Brilliant product! Also, AHAs help your active products penetrate better so I always recommend using AHAs to exfoliate and prep your skin. At Spa Sophia we have a number of excellent treatments that boost the effects from your home care products. The Oxygen Infusion facial is absolutely perfect if you have to look your best for an event or if your skin is dehydrated or sluggish. A unique blend of hyaluronic acid, vitamins, peptides and antioxidants is infused deep into the dermal layer resulting in instant firming, plumping and lifting. It’s one of Hollywood’s secret weapons!! Want to book a facial with Natarsha or one of Spa Sophia's other expert estheticians? Book one online now, email us or call (310) 564 6676. What Skin Type Are You? Find Out! The first step towards improving your skin care is knowing your skin type. At Spa Sophia we always do an extensive skin consultation with clients, so we can determine which treatments and products are best for them. We recommend having professional estheticians look at your skin, but if you're unable to come to the spa or are in need of an instant answer, we still want to help. Want to find out what skin type you are? Read on! Splash your clean face with water and dry it gently. Then press one thin peace of paper - such as rice paper - against your forehead and and one against your cheek. Now use the following skin type information to determine your skin type. Traditionally we divide skin into five types: normal, combination, dry, oily and sensitive. We should note that skin types can change as we age though, and are affected by things like temperature, humidity and hormonal fluctuations. Therefore repeat the skin type test every season or every time you move to a new climate. The piece of paper sticks to all areas of the face, and is translucent after. Prone to breakouts, acne and blackheads. Exfoliate twice a week (see our favorite products here). Wash your face with cleansers specifically made for oily/ acne-prone skin. The Clarisonic Acne Brush Head is a great option too. Use only non-comedogenic skin products and make-up, as they don't clog pores. The piece of paper doesn't stick to your skin, and comes up clean afterwards. Prone to flaking, fine lines, and red spots. Skin feels tight, especially after cleansing. Keep a spray bottle with you. Use gentle, creamy, non drying, soap-free cleansers. Epicuren Apricot Cream Cleanser is a great example. Use a humidifier if your home or office is dry. Use both night and day creams to moisturize (See our favorite moisturizers here). The piece of paper doesn't stick and comes up clean in some areas, but sticks and becomes greasy from other areas (most likely the T-Zone). Oily T-Zone that's prone to breakouts. Dry skin around the eyes, cheeks and temples. Skin that changes with the season or climate. Medium pores, possibly larger on forehead and cheeks. 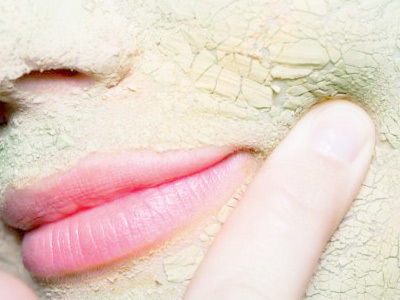 Exfoliate twice a week (see our favorite exfoliates and scrubs here). Use soap free cleansers, and only clean your face twice a day, unless you have perspired excessively. Jurlique's Soothing Foaming Cleanser is a good option. Moisturize your dry spots with oil free moisturizers throughout the day. Use our tips for dry and oily skin for the dry and oily areas. Prone to irritation, flaking and red spots. Reacts badly to lot of cosmetics and skin products. 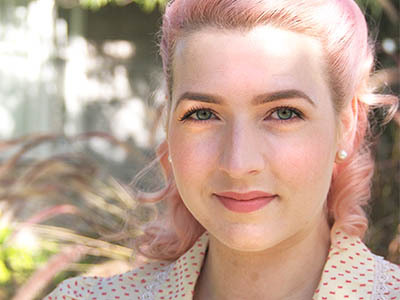 One of the most challenging things for sensitive skin is finding the right products. Luckily many stores have a return policy. Signing up for receiving testers from skin care companies can also help. Spa Sophia can also help you with individual product recommendations if you have sensitive skin. Use products especially made for sensitive skin. Use gentle cleansers. Jurlique's Soothing Foaming Cleanser and the Clarisonic Sensitive Brush Head are great options. Use gentle night and day creams to moisturize. The piece of paper doesn't stick to your skin, but would if you press harder. It comes up clean or with very little oil. Normal skin doesn't require much additional or special skin care. Just get the basics straight, such as applying SPF every day, cleaning your face twice a day, and moisturizing whenever the climate gets colder and dryer. Want a more in-depth skin analysis? Spa Sophia offers complimentary skin consultations for new clients. Call us at (310) 564 6676 or e-mail us to set an appointment. Just like in your 20s, for skincare in your 30s it's important to keep protecting your skin from the sun. You don't have to go for a higher SPF level, though. As we explained in our article about sunscreen, after SPF 15 there's little difference in effectiveness. Just make sure you keep using broad spectrum sunscreen/sunblock. Your 30s are also the time to invest in a heavier moisturizer, see our favorites here. Unlike in your 20s, where we recommend you focus mostly on prevention, in your 30s it's time to start investing in a good anti-aging cream. As explained in our previous article, Retinol is one of the most effective anti-aging ingredients around. Opt for the prescription kind, or - if that's too harsh for your skin - get an over the counter cream with retinol. Epicuren's Retinol Complex is one of our favorites. It's available at our webshop as well as the spa. Cleaning your skin is always important, and skincare in your 30s is no exception. But in your 30s make sure to always opt for gentle cleansers. Especially at first, Retinol can be quite irritating, so it's important to be gentle to your skin. Use gentle, soapless cleansers such as Cetaphil or one of our recommended products. Fine lines and wrinkles will most likely start around your eyes, which is why you should give the skin in that area extra attention. In your 30s, invest in a good eye cream. During the day, wear one that's moisturizing and rich in antioxidants to protect from environmental damage. During the night, wear one with Retinol. If you often have dark circles, look for creams with hydroquinone, vitamin C and brightening ingredients. If puffiness is an issue for you, eye creams with caffeine are the way to go. If you're using Retinol based products, you won' t need too much extra exfoliation. If you don't however, skincare in your 30s can benefit from some increased scrubbing and exfoliation. Get a peel at Spa Sophia, or use at home peels with salicilyc or glycolic acid. If you'd rather use a scrub, then opt for ones with synthetic microbeads and stay away from harsh scrubs. See our favorite at home peels and scrubs in our webshop. Hopefully this will help you create a better skincare regimen! Obviously different skin types have different needs. Want personalized advice? Come by Spa Sophia at 1027 Abbot Kinney Blvd. in Venice, e-mail us, or call us at (310) 564 6676. To pop or not to pop? When you're staring at that annoying, unsightly zit in the mirror the urge to pop it can be strong. You probably heard it before though: You should really, really not pop pimples. And if you absolutely can't stop yourself, at least pop your pimples like a pro. How? Let Spa Sophia's esthehticians tell you. But after why we tell you why you should not pop pimples! How Does a Pimple Form? Our pores contain sebaceous glands, which produce sebum. This is an odorless, waxy substance that benefits our skin in multiple ways: It coats our skin to protect it from external hazards and bacteria, it makes our skin water resistant, and it lubricates our skin. It also helps regulate our body temperature. Our body continually renews our skin, generating new skin cells and shedding dead ones. Sometimes, however, our skin doesn't properly shed dead skin cells, which causes pores to clog. This leads to a buildup of sebum, dead skin cells, and finally bacteria. And this is what we call a pimple or zit. The good thing about pimples is that they're contained. A zit or pimple is basically a small contained sack of gunk beneath the skin. A pimple will dissolve on its own in 3 to 6 days. Why not pop pimples? Because you'll only make things worse.When you pop a pimple, you break the contained sack of gunk, and may cause the it to splatter. This in turn can cause the gunk to clog other pores and lead to more pimples. It's also possible that the gunk doesn't all come out fully. In that case the pressure you exert on the pimple causes the gunk to spread even deeper underneath your skin. On top of that new bacteria from your fingers can enter the pore. All this can lead to an even bigger pimple, a whole cluster of pimples, or even an inflammation beneath the skin. So either way, it gets worse. A last reason why you should not pop pimples is that you may cause scarring, and scars stay for much, much longer than a pimple, if not forever. You know now why you should not pop pimples, but if you absolutely can't resist, at least make sure you do it carefully. At Spa Sophia we have gloves and professional tools such as comedone extractor to do it, but we're assuming you don't have those at home. So what to do? Make sure the pimple is ready. If it doesn't have a white head, it isn't, and you'll likely just cause a deeper infection. Sterilize a needle by holding it in a flame and rubbing it down with alcohol. Sterilize your fingers and the skin surrounding your pimple with alcohol. Prick the white head of your pimple head on and squeeze around it to release the gunk. Apply some alcohol or other antibacterial agent to the pimple. This may sting a little! There you go! Now you're an expert on why not to pop pimples, and how to pop them when you absolutely have to. The best thing is preventing pimples, of course. Facials with peels and exfoliation can really help just that. Check our facials here, and book one online or call 310 564 6676 or e-mail us! Anti-aging creams are plentiful, but sadly not many of them have been proven to cause any long term effects. We have seen first-hand the miracles of a good facial and skin care regimen though, and want to help you find products with anti-aging ingredients that work. So before you buy any more expensive anti-aging creams, read about our 4 anti-aging ingredients that work, really! We've already gone in depth about retinoids in one of our previous posts, because retinoids are one of the few anti-aging ingredients that work according to scientific research. Retinoids increase collagen production and cell turnover and unclogs pores, which gives you a plump skin that is smoother and brighter. Prescription retinoids are the most effective, but derivatives such as Retinol, Retin-A, Retin-A Micro and Renova also work, just more slowly. Anti-aging creams with these ingredients may take up to 12 weeks to show results. One of Spa Sophia's favorites is Epicuren's Retinol Complex, you can buy it at our web store or at the spa. If you decide to start with retinoids allow your skin to adjust though, as retinoids can dry out skin and cause irritation. Last but not least, don't layer retinoids with benzoyl peroxide or alpha hydroxy acids because they will cancel out the effects. Alpha Hydroxy Acids are natural acids found in fruits and dairy. They work as an exfoiliant by dissolving the glue that holds dead skin cells together, exposing new, fresh skin. This leads to decreased skin discoloration, smoother skin and smaller looking pores. Repeated peels can even improve skin structure. That's why Spa Sophia offers a Facial Peel, and also includes peels in many facials. You can even buy a Facial Peel package for repeated peels. The AHA anti-aging ingredients that work are usually listed as glycolic, malic, citric or lactic acids. Our favorites are Epicuren's Clear Glycolic Face Peel 5%, Glycolic Lotion Face Peel 10%, Glycolic Lotion Face Peel 5% and Pumpkin Apple Spice Peel. Do a peel once to twice a week, depending on how sensitive your skin is. Don't buy cleansers with AHA's though. The acids won't be on your skin long enough for a peel to have effect. Anti-Oxidants don't really remedy aging skin so much as they prevent skin from aging. Anti-oxidants protect your body from free radicals: molecules that cause cell damage and aging. For more in-depth information on what anti-oxidants are and how they work, check our article on Anti-Axodiants. Vitamin C, green tea, vitamin E, ferulic acid, phloretin and coenzyme Q10 (sometimes listed at CoQ10) are a few powerful anti-oxidants. In terms of products, Spa Sophia recommends Hylunia's Anti-Oxidant Vitamin Mask and Ultimate Anti-Oxidant. The best way to go about including anti-oxidants in your skin care regimen is to just use a combination of different ones. You can also get anti-oxidants through your dieat by eating fruits and vegetables. Make sure you store your anti-oxidant products in a dark, cool place, because warmth and sunlight can make them decay. More than 90 percent of wrinkles, dark spots and loss of skin elasticity is caused by sun exposure. We've already gone in depth about the do's and don'ts of sunscreen in our Sunscreen & Sunblock article but we can't emphasize it enough: Wear sunscreen. It's one of the best anti-aging ingredients that work. Sunscreen won't repair aging skin but it will stop your skin from aging, or prevent aging altogether. Get either a sunblock or broad spectrum sunscreen, and put it on every day before you step outside. Get one with a minimum SPF of 30, and realize that make-up or lotions with sunscreen in them are usually not strong enough. If you spend the day outside, re-apply your sunscreen every hour. Check out Spa Sophia's recommended sun protection products here. These are the anti-aging ingredients that work according to science thus far, but that doesn't mean there aren't others out there that have potential. Epidermal Growth factor has some mixed yet positive research results, and Hyaluronic Acid has been shown to draw an amazing amount of moisture to your skin, which is always good. Also realize that while most beauty products on the market may not cause long term anti-aging benefits, they may still improve the way your skin looks and feels for the day! Check out Spa Sophia's Facials to jumpstart your skin transformation and get a consultation on what skin products are best for you. Why does our skin get wrinkled over time? Because our cells get older, and as they get older they start cooperating less well. They lose efficiency, get damaged, and even die. This all has to do with DNA. Every cell in your body contains DNA, which contains not just the blueprint of a specific cell, but of your entire being. Nobel Prize winning Professor Alexis Carrel and Swiss Doctor Niehans of the Clarens Clinic then made a stunning discovery while doing research on embryo extracts: They found that when and old cell comes into contact with a new cell, the new cell reprograms that old cell, making it function like new. Cells do this by exchanging DNA. So new cells are very useful for rejuvenating old cells, like skin cells. The difficulty with new cells though, is that they are extremely rare. Cells take on specific roles very early on: They become blood cells, brain cells and skin cells for example, all before we're even born. And once a cell has taken on a function, you can't "re-assign" it. That's where stem cells come in. Stem cells are cells that aren't assigned to a task yet. They contain flawless DNA information, and are able to become every cell they come in contact with. Where Do DNA Cryo Stem Cells Come From? The DNA CryoStem Cell Facial's stem cells are gained from bovine (cow) amniotic fluid. But don't worry about the cows; They live on a free-range farm in the French Alps, receive organic feed and are hormone, steroid and antibiotic free. The amniotic procedure is also painless, and the cows replenish their stem cells within 8 hours. The stem cells are then stored cryogenically, aka frozen. This is because at medium or high temperatures the cells decay and lose their value. The DNA CryoStem Cell Facial is 100% natural, FDA approved, and chemical and preservative free. It starts off with a thorough cleanse. After that you'll receive a microdermabrasion: a deep exfoliation of epidermal skin cells with the help of tiny crystals. This will enable the CryoStem Cell serum to penetrate the skin better and deeper. Then DNA's CryoStem Cell serum is applied. This serum consists of organic vitamins, minerals, essential fats, enzymes, natural antioxidants and stem cells. The DNA CryoStem Cell Facial lasts 60 minutes costs $250. Spa Sophia now offers $50 off for first time DNA facials! Book now. Because the stem cells will adapt to your skin and restore and reprogram your old skin cells, your skin will not only feel younger, it will be younger. 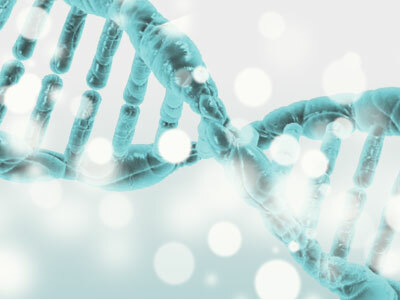 The DNA CryoStem Cell Facial has been clinically proven to enhance skin cell growth by 71%. This process will last for days after your treatment, peaking at 6 days. It's not without reason DNA CryoStem Cell Facial is being helmed as the non invasive alternative to facelifts. The DNA CryoStem Cell Facial remedies wrinkles, fine lines, aging spots, scars, acne scars, bags under the eyes, uneven complexity and even laxness of skin in the neck and chest area. How Many DNA CryoStem Cell Facial Treatments Do I Need? Results are immediate, and keep increasing over 6 days. However, to also effect the deeper layers of skin and get the best long term results, it's recommended that you get 6 treatments over two months. Each treatment will progressively increase results, and after 6 treatments most layers of the skin will have been improved. After that occasional treatments as a booster are optional. The serum used in the DNA CryoStem Cell Facial will continue to sink into your skin throughout the night. That's why we recommend that you don't work out, wash, or put on make-up after your DNA Facial. The DNA CryoStem Cell Facial results are virtually unparalleled and can't be achieved with any regular skin care products. Want to schedule a DNA CryoStem Cell Facial now? Book one online or call us at (310) 564 6676, or send us an email! It's one of those words that's seemingly everywhere: Antioxidants. They're in everything from kiwis to skin creams, and are known for cancer prevention as well as antixodant skin benefits, like anti-aging. But what exactly are antioxidants, and how do they benefit your skin? And which antioxidants are best to incorporate in your skin care routine? We'll tell you! Ever seen a rusty pipe, or a rotten piece of fruit? Well, those things were caused by a process called oxidation. Simply put: cell damage due to contact with oxygen. The same happens to the cells in your body. Well, not exactly the same, luckily they don't rust or rot, but you get the idea. Our body is pretty good at dealing with oxygen. It metabolizes the oxyen molecules, but in the process 1 to 2% of them get damaged, and turn into free radicals. What are free radicals? Without getting to science-y, they're incomplete molecules. For example: a molecule that's missing one atom to be a water molecule. These free radicals therefore go looking for other molecules to connect with, stealing their atoms and damaging them. When this happens to the molecules of your body cells, the DNA in your cells can be mutated. When DNA mutates it can lead to a variety of diseases, such as cancer, which is caused by damaged DNA telling cells to keep multiplying. So what are antioxidants? Antioxidants are molecules that freely give away their atoms to free radicals, so they don't go and damage your body's cells. The term antioxidants therefore refers to wide array of vitamins and minerals that reduce the oxidation process this way. They're more important now than they were ever before because of the modern world we live in. Gasses, cigarette smoke, radiation: They all carry free radicals. That's why getting plenty of antioxidants every day is important. So how does this all relate to skin care? Well, the UV radiation from the sun creates a ton of free radicals. These free radicals multiply enzymes that break down collagen. We've already gone in depth about collagen here but collagen is one of the main elements that make skin look youthful. Incorporating antioxidants in your skin care and diet is therefore a great idea. Vitamin E, also known as tocopherol or tocotrienols. Go for the natural kind instead of the synthetic one, like in Hylunia's Vitamn Antioxidant mask. Vitamin C, also known as ascorbic acid or tetrahexyldecyl ascorbate. Works especially well when combined with Vitamin E. Spa Sophia loves Epicuren's Cxc Vitamin C Complex. Epigallocatechin-3 gallate (EGCG), found in green tea. Epicuren's Green Tea & Ginger Seaweed Mask is a great skin booster with EGCG. Vitamin A, also known as retinol, retinyl palmitate and retinylaldehyde. In prescriptions it's listed as retinoic acid, tretinoin, adapalene (Differin) and tazarotene (Tazorac). Read more about the amazing anti-aging benefits of retinol in this post. Spa Sophia also has several facials that nourish your skin with a highly concentrated dosage of antioxidants, such as our Oxygen Facial. Book one online, drop by the spa on 1027 Abbot Kinney, or call (310) 564 6676 to make an appointment! Pretty much every commercial for facial creams mentions it: collagen. Collagen benefits the skin by rejuvenating it, that's why Spa Sophia offers collagen facials in its Los Angeles spa. Not all collagen products have the anti-aging effects of collagen facials though. We believe that it's important to educate our clients on beauty, so they can select beauty products that actually work and maximize the results of our treatments. For that reason we'd like to tell you a little bit about collagen, its part in anti-aging, collagen facials an collagen facial benefits. Read and learn! Collagen is a protein - a large biological molecule - that makes up about 25 to 35% of all the proteins in our body. It's mostly found in connective tissue; things like tendons, muscle and skin. The word collagen comes from Greek and means as much as "glue producing." This is because back in the day skin from mammals would be burned and turned into glue. Collagen is what makes our skin elastic, firm and, well, pretty! Our bodies naturally produce collagen, but as we get older this amount becomes less and less, declining with about 1% a year. Things like smoking, sun damage and a bad diet dramatically increase this number though, so be sure to read our articles on sun protection and foods for beautiful skin. Do Collagen Creams Really Work? Most collagen creams on the market that contain collagen are good for moisturization and a quick skin boost, but don't actually increase collagen in the skin. This is because collagen is a large molecule that doesn't easily penetrate the skin. Collagen molecules are sometimes made smaller by products though, so they can penetrate the skin somewhat better. But even then there's a good chance your body sees the collagen as a foreign intruder, and creates an allergic reaction. Because of this most collagen creams don't have the collagen facial benefits. While creams that contain collagen usually don't have the advertised anti-aging benefits, creams that boost your skin's own collagen production do work. That's why Spa Sophia only uses collagen boosting creams, and why our collagen facial benefits your skin much more than regular collagen creams. What is a Collagen Facial? Spa Sophia's Intraceuticals Oxygen Collagen Booster Facial starts with a cleanse and skin analysis. After this we use our airbrush to gently infuse oxygen, vitamins and Intraceutiacals' Collagen Booster to the deeper layers of the skin. Intraceuticals' Collagen Booster contains collagen messenger peptides that signal your skin to increase collagen production. Next we'll give your face a lovely massage for increased blood circulation. And last but not least, we use some finishing products for moisturization. What Are the Collagen Facial Benefits? Because our collagen facial uses collagen boosting products rather than creams that contain collagen, collagen in the skin actually increases, especially with repeated treatments. The exfoliation beforehand thins the outer layer of your skin, which helps it absorb the collagen booster cream better. The massage and moisturization give you a more even and glowing complexion. Another one of the collagen facial benefits is that the procedure isn't painful. Effects are immediate, which makes it a perfect facial to do before an event or photoshoot! 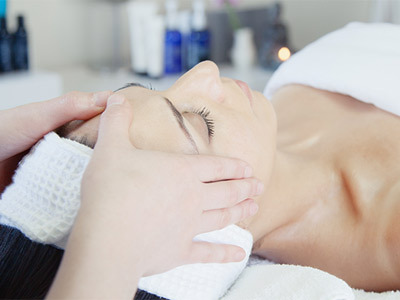 Want to experience a lovely collagen facial at our boutique spa in Los Angeles? Book our Collagen Booster Facial online or call us at (310) 564 6676 to make an appointment.